Located in the New South End neighborhood of downtown Colorado Springs on south Nevada, this mixed-use project includes 33 apartments (54 bedrooms) and a separate commercial space for a coffee shop/deli and music venue. Now open for tenants, this project is being hailed as the leading example of moderately priced urban apartments targeting young professionals and empty-nesters that want to live in the heart of the City. The exterior design is driven by a desire to provide a contemporary, playful facade that celebrates the balcony spaces by injecting color and large openings at those locations. 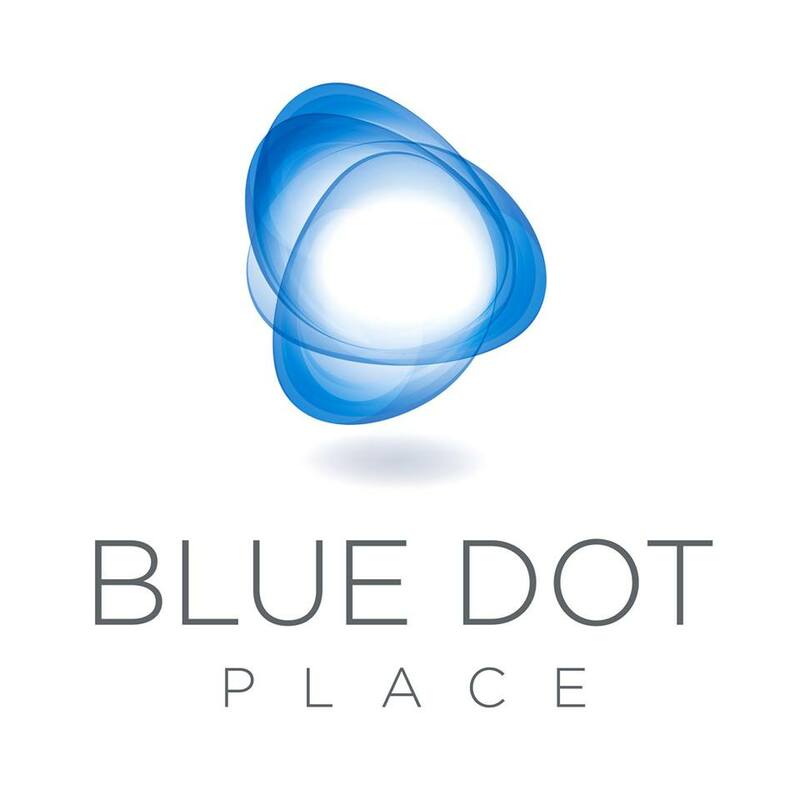 Check out Urban Land Institute's (ULI) case study on Blue Dot Place featured on ULI's Active Transportation website! The primary goals of the development were to create a model community that offers affordable, sustainable housing to seniors and low income families. HB&A provided detailed accessibility studies as part of our design. Our work involved a UFAS accessibility checklist review of 46 pages, ongoing construction review and photos to correct items in process and a detailed response completed after construction. This building uses about half the energy a typical building of its size would use. Phase two of the Josephine Commons project provided 72 units (148 bedrooms) in a mix of 2-6 unit townhome buildings. This phase also included a community center building with large kitchen and gathering space for use by the residents. Pilot venture for innovative, sustainable, affordable housing which informed the design and construction of Josephine Commons. 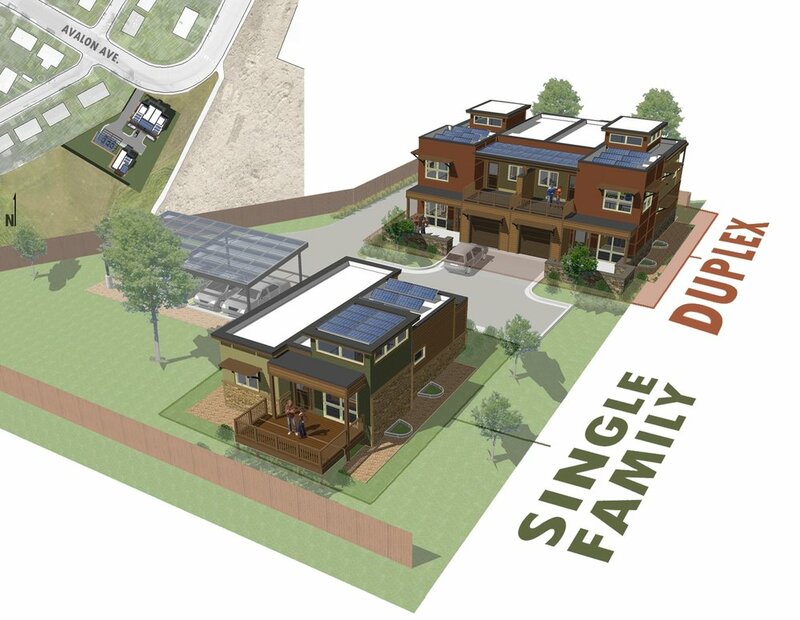 The project consists of one-duplex unit and one single-family unit on an urban infill lot situated between a residential neighborhood and industrial part. Modular construction and efficient design provided lower construction costs, which allowed the owner to invest in higher performance materials and renewable energy features. Replaced 22 WWII era houses with 18 Great House 5 unit apartments and 10 single family cottages, totalling 100 units (162 bedrooms) delivered in two phases. Located to the southeast of downtown Colorado Springs. Highly successful community with welcoming residential design featuring porches for each unit, unique mix of durable finishes and color palette for each Great House apartment building and cottage to reinforce individual building identity.